The Griffith Law Firm was founded over 60 years ago to guide people in Duncanville and surrounding cities, through probate proceedings with clarity. Whether a case is straightforward or complex, our goal has been to give clients peace of mind that their assets are distributed as intended. In addition to probate cases, our office handles a full array of estate planning and elder law issues. We frequently draft wills, trusts, Lady Bird Deeds, and other directives to ensure clients' wishes are honored and help our clients plan for Medicaid issues in the event of a potential assisted living or nursing home situation. We deliver aggressive defense for people charged with crimes or those who have been taken advantage of. This includes first-degree felonies and allegations of driving under the influence of alcohol. No matter what brings people into our office, we take the time to understand their goals and create custom pathways to the best possible solution. 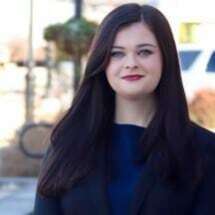 Thomas N. Griffith is a graduate of the University of Texas Law School and Savanna Griffith from Texas A&M University and Baylor University Law School. We are like friendly banks used to be...relationship oriented...and are deeply committed to our clients success and well-being. We work with clients in Duncanville and Murchison as well as the greater counties of Dallas, Henderson, and beyond. Our rates are affordable and we offer a free initial consultation and can accept credit cards as payment. We want to be your Texas attorney.